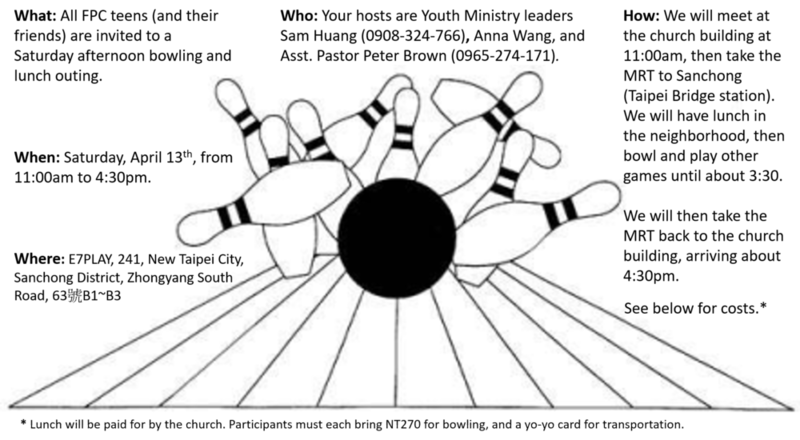 Required permission slips will be provided in Sunday School class and at the Newcomer Welcome table in the fellowship hall. Please return the signed slip to Sam Huang, Anna Wang, or Peter Brown. One slip needed per family. Friends are welcome, but also need a slip.